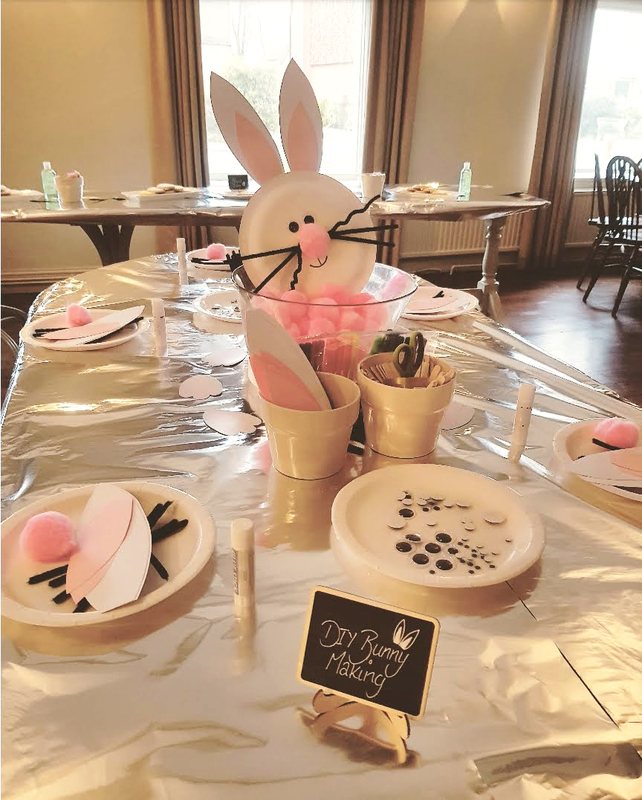 Hoppity hop on down with your little ones for an afternoon of creative crafting in our Dining Room. Easter biscuit icing, DIY bunny hat making and Easter decoration painting! Crafting, pizza & ice cream £10 per child. 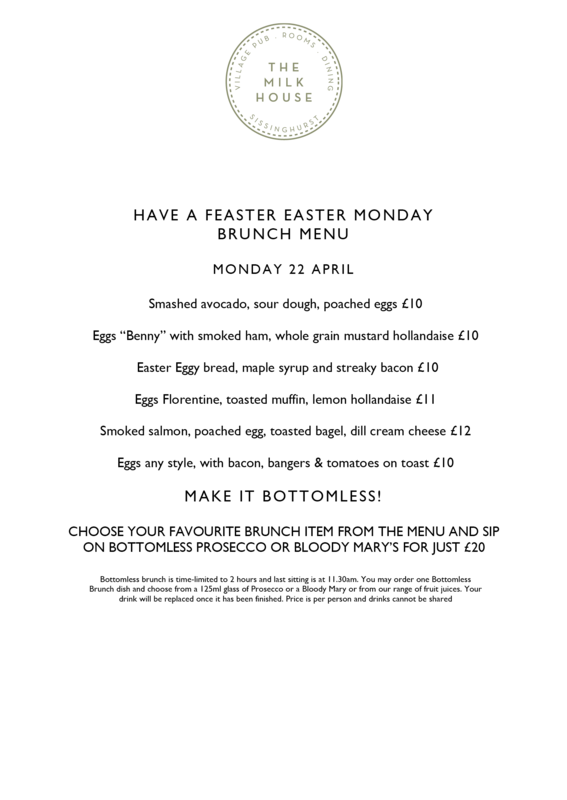 On Easter Sunday, we’ll be serving lunch in our Dining Room from 12–6pm. 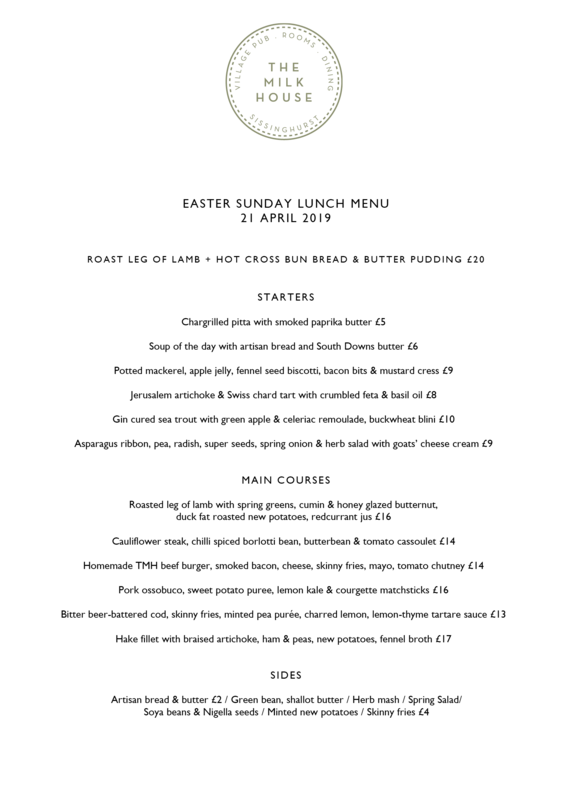 Our Easter Sunday roasted leg of lamb followed by hot cross bun bread and butter pudding is our Easter treat! Alongside this our Sunday menu includes other favourites from our Spring menu. For smaller tummies, there’s a mini menu with baby portions of big favourites. So bring the family together and celebrate at The Milk House! 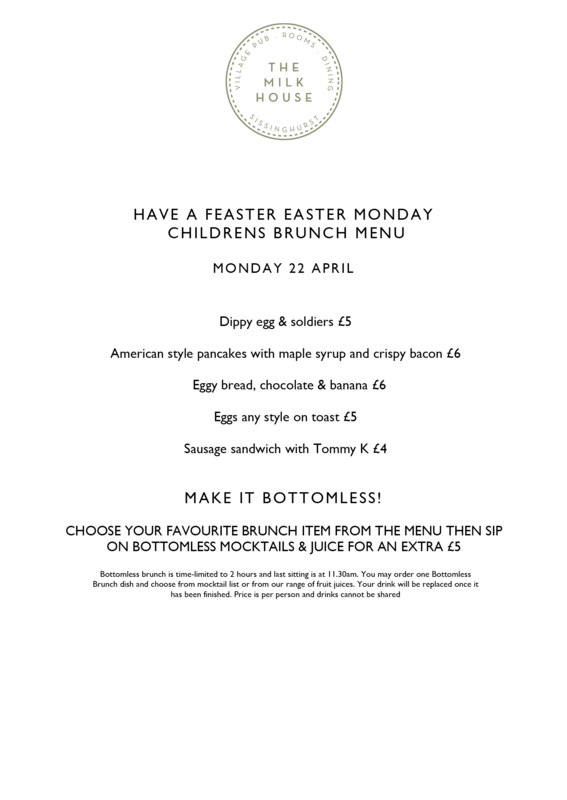 Start your day at The Milk House with our Feaster Easter Monday Brunch menu. We’ve got a grown up menu and children’s menu – so join us as a family – and if grown-ups want to make it bottomless, we’d be more than happy to oblige. Book your table between 10:30am and 11:30am and enjoy 2 hours of brunching at your table. Booking recommended. © 2019 All Rights Reserved. Designed by H&H. Photography by Eleanor Robertson and The Pixel Kitchen.